When I was young, like 7 or 8, I read the story of Francis Scott Key and his poem “Defense of Fort McHenry” written in 1814. 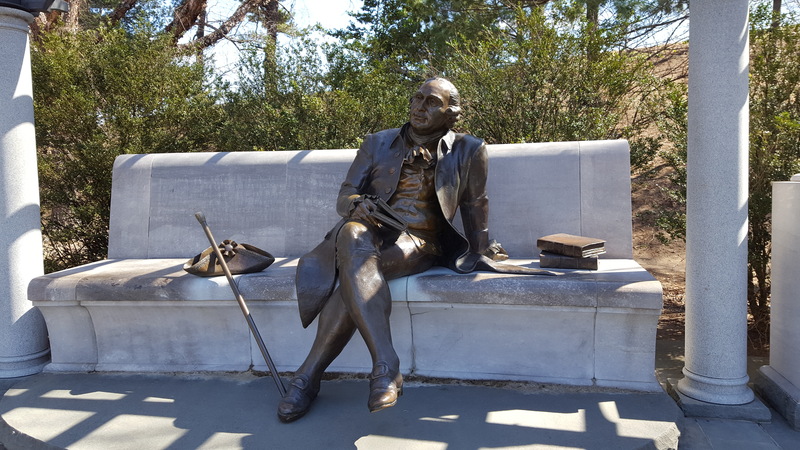 It inspired me, and I memorized the first verse of the Star Spangled Banner. Can you imagine watching and waiting all night? Only being able to see the flag flying by the glow of a bombs shelling the fort where your people are fighting, knowing many of them won’t survive the night? The video Our National Anthem is well done. If you’ve never heard the story, even if you have, I recommend it. Here are the full lyrics of The Star Spangled Banner, which became our National Anthem in 1931. Mackinac Bridge in Winter. 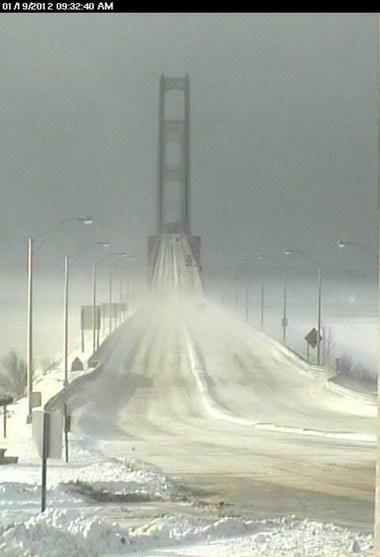 Photo from Mackinac Bridge Authority’s Webcam. About 30 years ago, on a blustery, snow-filled winter’s night, I crossed the Mighty Mac for the first time. Mom was driving; white-knuckling it actually because of the poor visibility and wind gusts. My Mom never answered his questions or found the answers for him, as she usually did…due to her intense fear at that moment. We were all laughed, heartily! But there’s a lesson here too. Sometimes people cannot answer your personal questions. Usually it’s because they don’t know or don’t want to appear foolish or that the truth might embarrass them. But sometimes it’s because they are flat out terrified. Fear prevents people from being honest with themselves and with you. Fear is the enemy of intimacy and vulnerability. Fear corners people and causes them to behave oh so squirrelly…or mean…or rude. My mom always tried to help us get answers to our questions, but her fear caused her to be short with my brother & tell him to just shut up. I’m not sure what point I’m trying to make…other than I love my family and I loathe fear…but this has just been rolling around in my head and I needed to get it out. PS Random funny..me, my mom and my niece all prefer walking the Mighty Mac to driving over it. We feel safer. Weird but true.